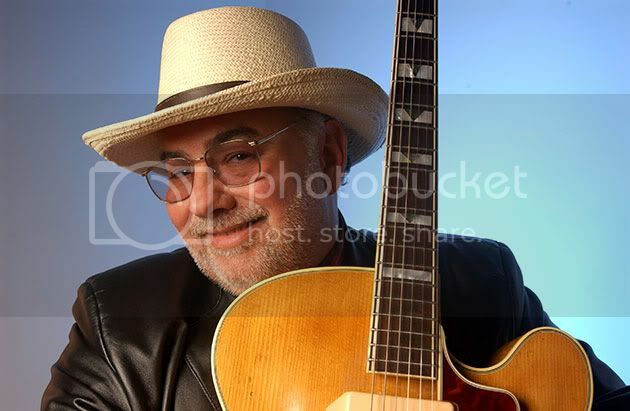 Duke Robillard is our third #1 in the past three weeks as his Low Down & Tore Up takes the top spot at radio this week. It's exciting to see the shakeup of late after watching Gregg Allman's Low Country Blues and Tedeschi Trucks Band's Revelator camp out on top for weeks at a time. They're both great albums but change can be a good thing and Duke's record is a very, very good thing! Our previous two #1s Maria Muldaur's Steady Love and Ray Bonneville's Bad Man's Bloodcheck in second and third with George Thorogood and Hugh Laurie rounding out the Top 5. We got shakeup in terms of the rankings but there aren't a lot of new names in the Top 15 this week, especially as we look at six through 10. Candye Kane, Warren Haynes, Tedeschi Trucks Band, Cash Box Kings, and Moreland & Arbuckle fill those spots, respectively. I still haven't picked up Warren Haynes but I have a copy of Cash Box Kings' Holler & Stomp and I liked their Blue Bella release I-94 Blues from last year, so I'll be taking a closer listen to that very soon. The lone "new" entrant this week is the collaboration between Joe Bonamassa and Beth Hart, Don't Explain. They've been on the chart before but fell off last week. They return at #15. My own personal blues excitement for the past week happened Friday when I saw Kilborn Alley Blues Band here in Huntsville. Their new album is amazing and comes out Nov. 22, along with the new record from Nick Moss. My other blues victory is on a UPS truck headed for my doorstep right now: Howling Wolf Smokestack Lightning: Complete Chess Masters (1951-1960). It takes you from "Moanin' At Midnight" and the tracks he cut with Sam Phillips in Memphis that were licensed to Chess all the way through "Moaning For My Baby." That's 4 discs, 97 tracks. Can. Not. Wait! I'll also be excited for the next volume in this series which should pick up around the time of "Going Down Slow" and take us through the end of his Chess tenure. Here are the Top 15 albums at Blues Radio for Week of Oct. 21, 2011"